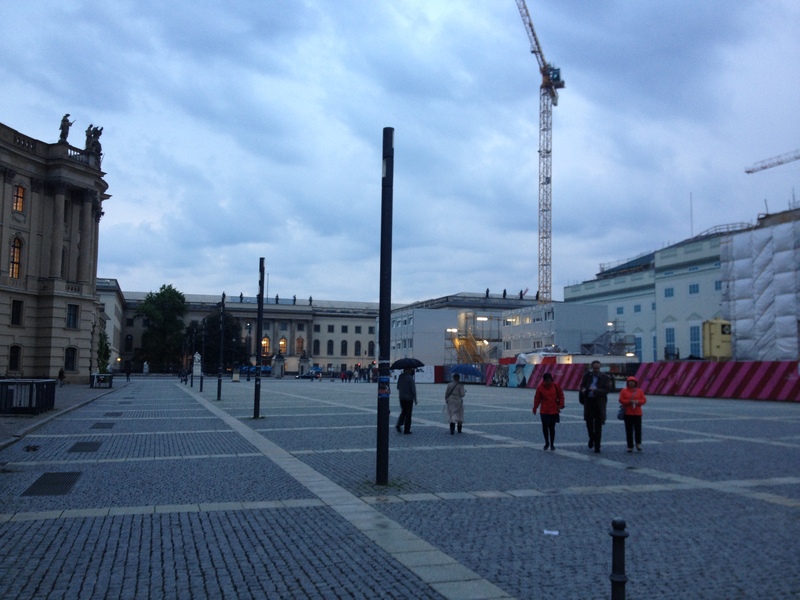 I was very tempted to call this post ‘Goodbye to Berlin,’ but the truth is I have been back in Galway since late Friday night. Also, I have never read that book. 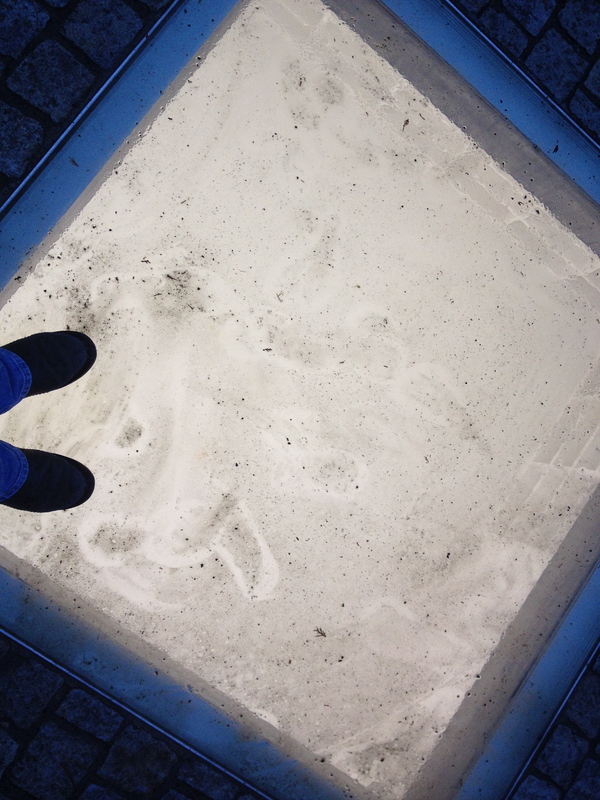 But Berlin was a trip. It really does appear to be the hippest city on the planet. Glad I got to spend a month there. 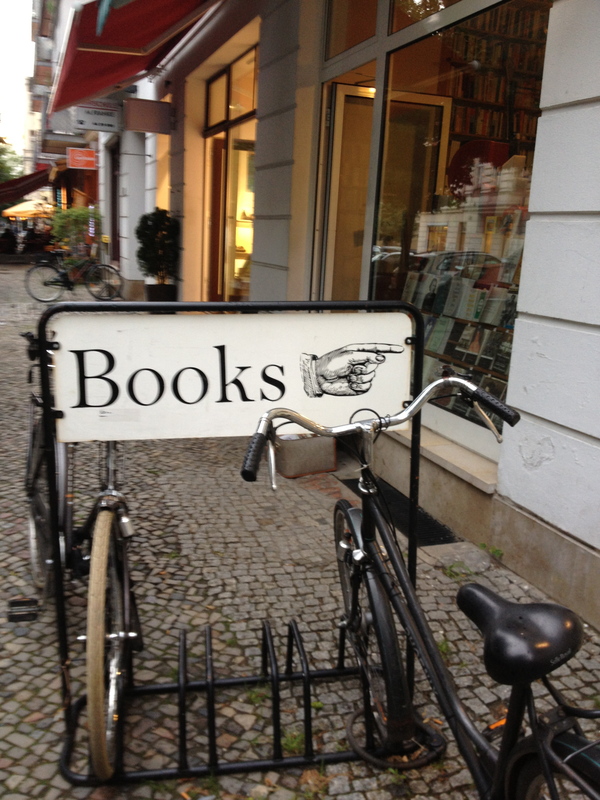 My travel philosophy as of late seems to involve following the bibliophile trail. And for some reason, I am in the foulest mood and really do not want to write tonight, so let’s see if the pictures can lead us through one more blog post. 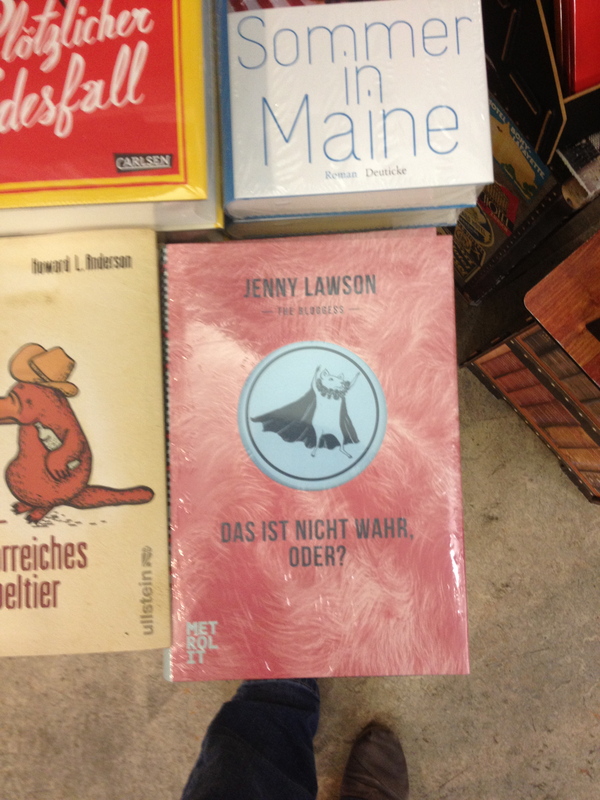 First, some German-language books that caught my eye. 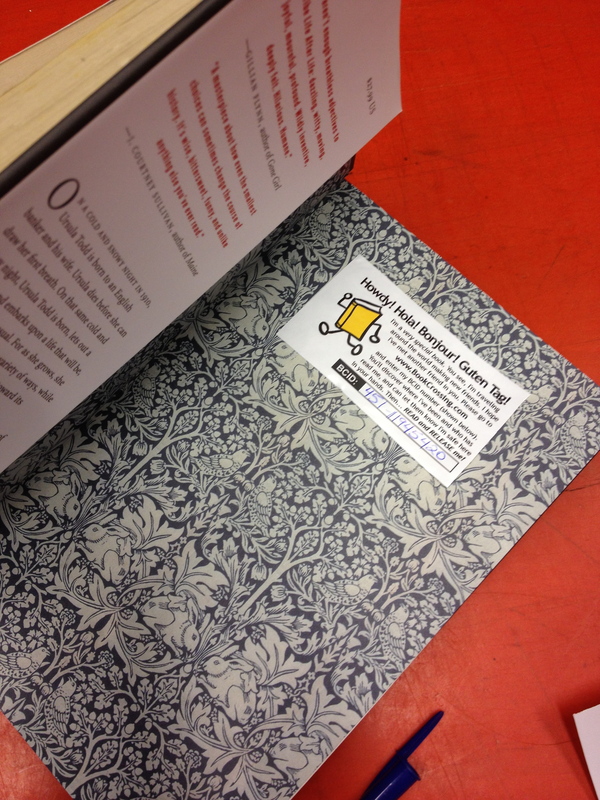 2) The Bloggess’s book in German. I actually have this book on my Kindle, and though I don’t read the blog with any degree of regularity, one of the posts I do remember is about seeing her book translated into German. That must be such a cool feeling. 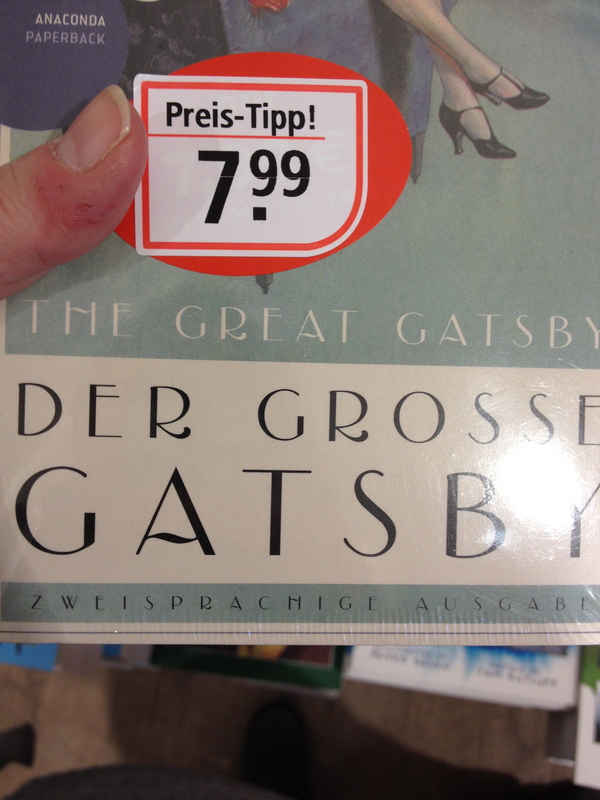 Even just browsing the bookstores, I was always thrilled to see a book I knew in its German edition. 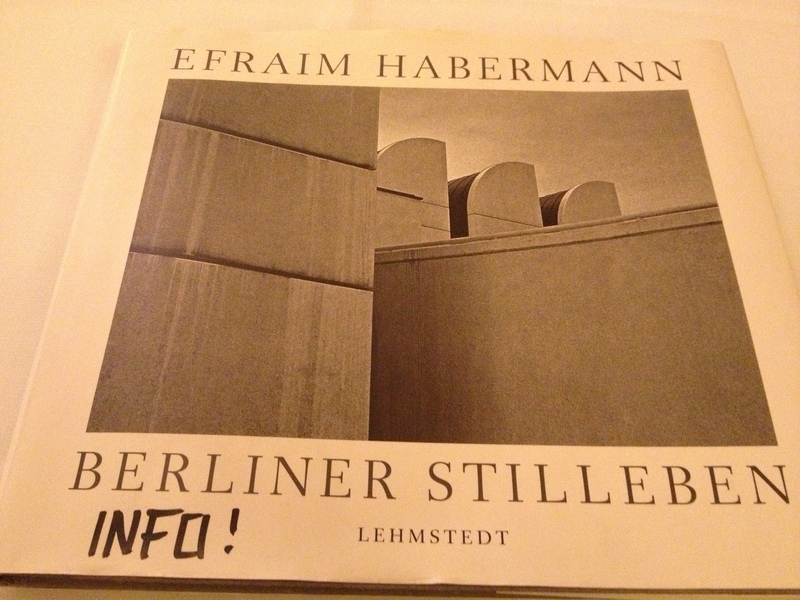 3) A book of photographs by Efraim Habermann. 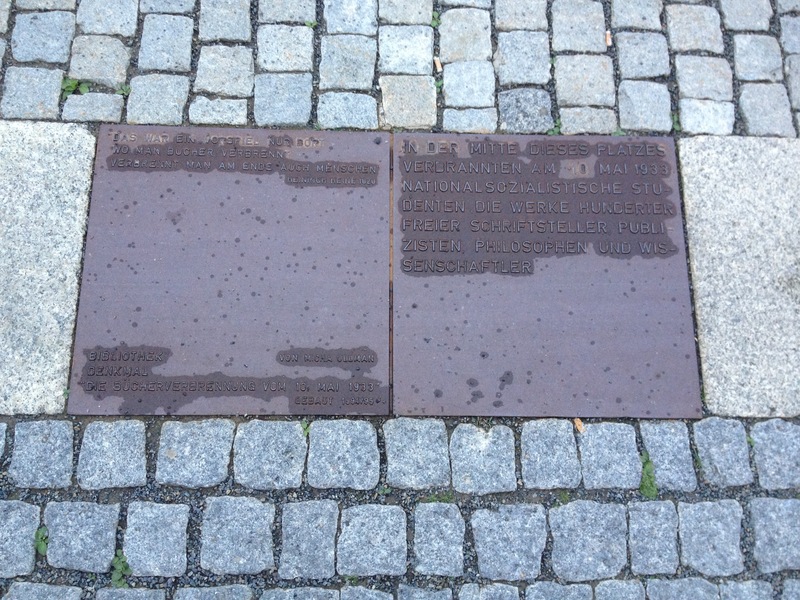 I met him at the Literaturhaus one rainy afternoon. He invited me over to chat and see his photos while he had coffee and I uncouthly scarfed down spargel with hollandaise sauce, baby potatoes, and some sort of rhubarb concoction for dessert. A friend of his showed up, and they conversed in English for my benefit, all the while apologizing because their mastery of the language was not up to snuff. It was actually quite good, and I was sitting there with absolutely no German, fairly certain I was mispronouncing Danke. 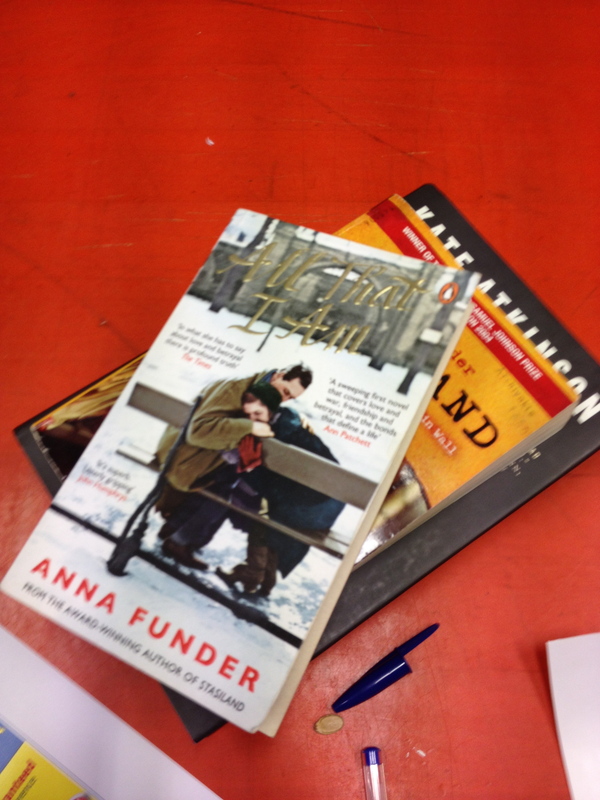 Anyway, the book contains a photo of Bruno Ganz, star of Der Himmel Über Berlin (Wings of Desire). I was thrilled to recognize him, trying to explain how I knew him from “that movie with Columbo and the angels.” So sophisticated. 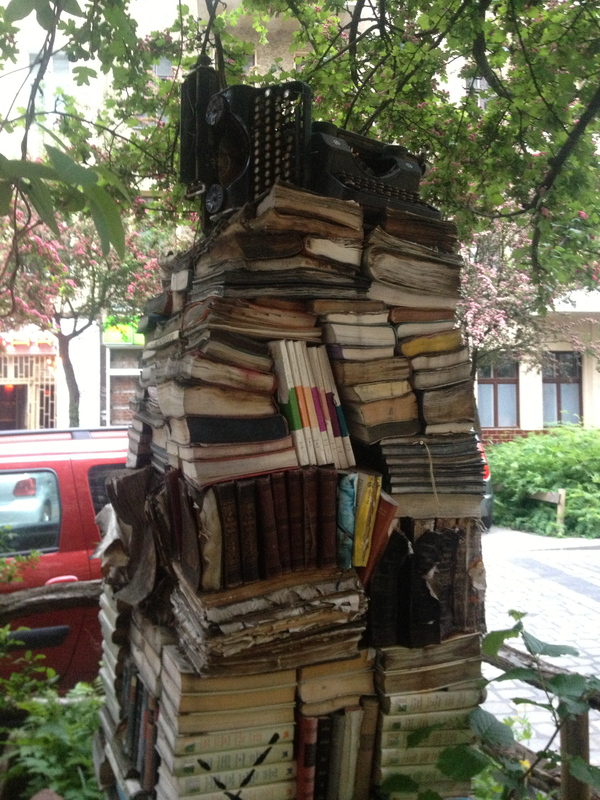 Above, random book art on the sidewalk. This was outside a curio shop, located somewhere between Ron Telesky’s Canadian Pizza and the U-bahn stop where I screamed because I saw a rat run across the sidewalk in broad daylight. I guess I’m just a country mouse… can’t take me anywhere. Below, the back room at Shakespeare and Sons, home of Tuesday Night Writing Club. 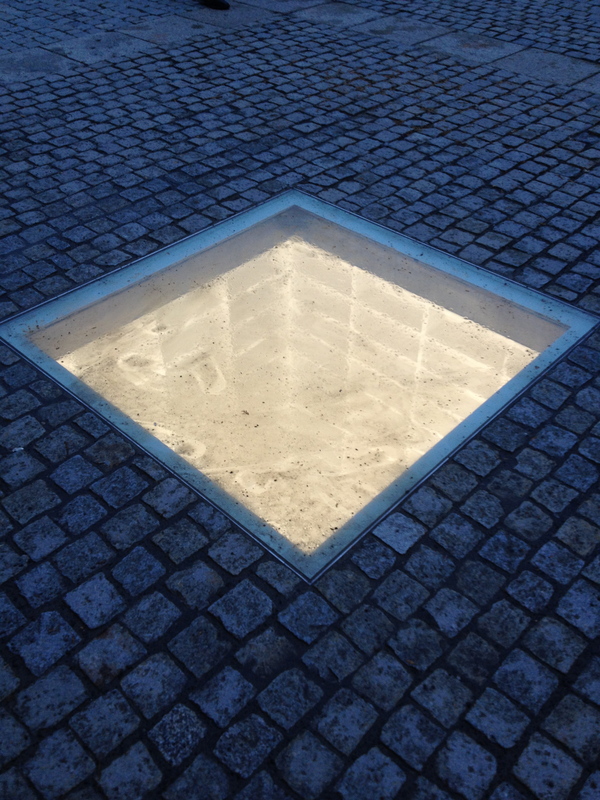 This is the Bebelplatz, site of the 1933 Nazi book burning. 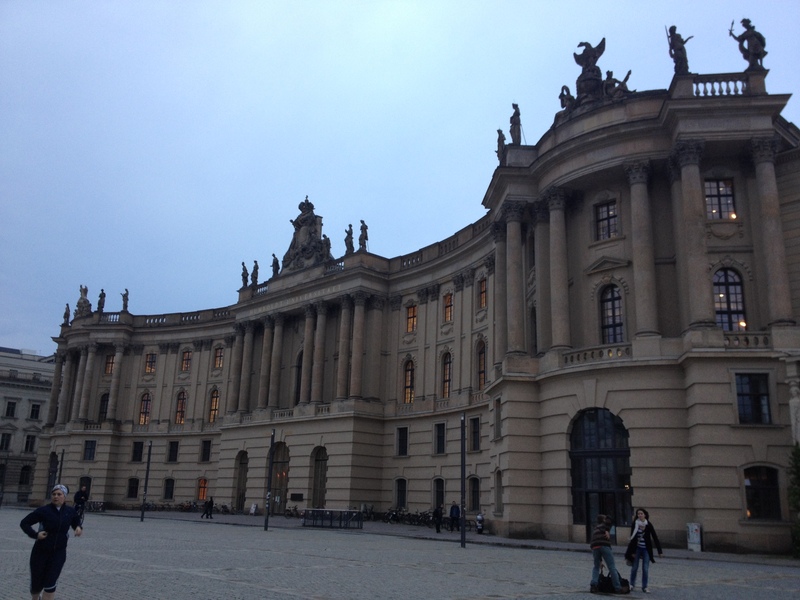 The big pretty building is the old library of Humboldt University, and in the plaza itself lies the underground library, which is a room of empty white bookshelves, lit from above. It’s very moving. I’m sorry the photos don’t do it justice; it was rainy and muddy. 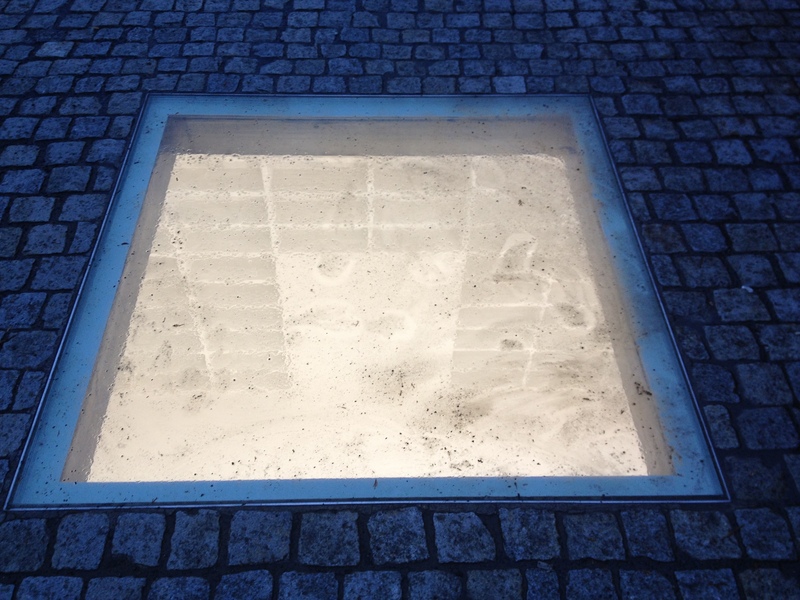 But I don’t think any of the photos I’ve seen convey the depth of the monument. It really was powerful, and I’m glad I went to see it. 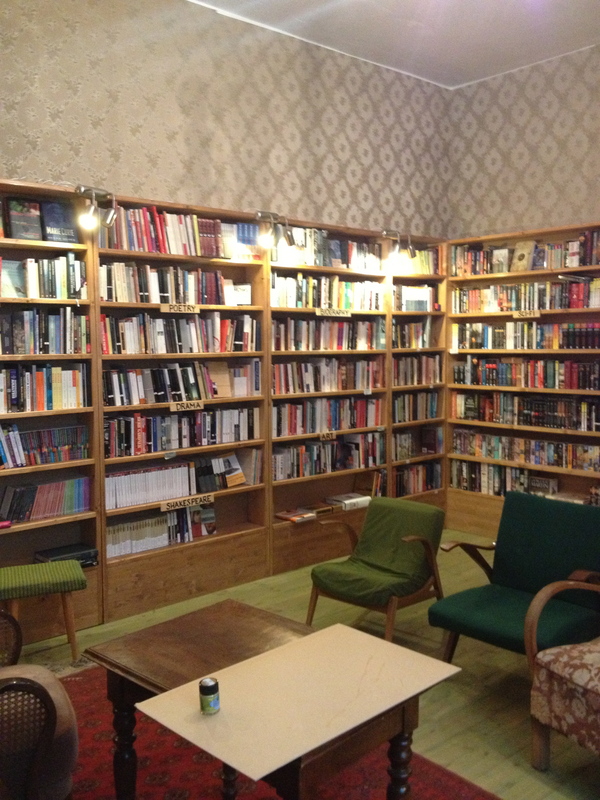 And finally, the Book Forest Library in Prenzlauer Berg. I had seen this on Pinterest and Galleycat, and was thrilled to find it was in the neighborhood where I was staying. 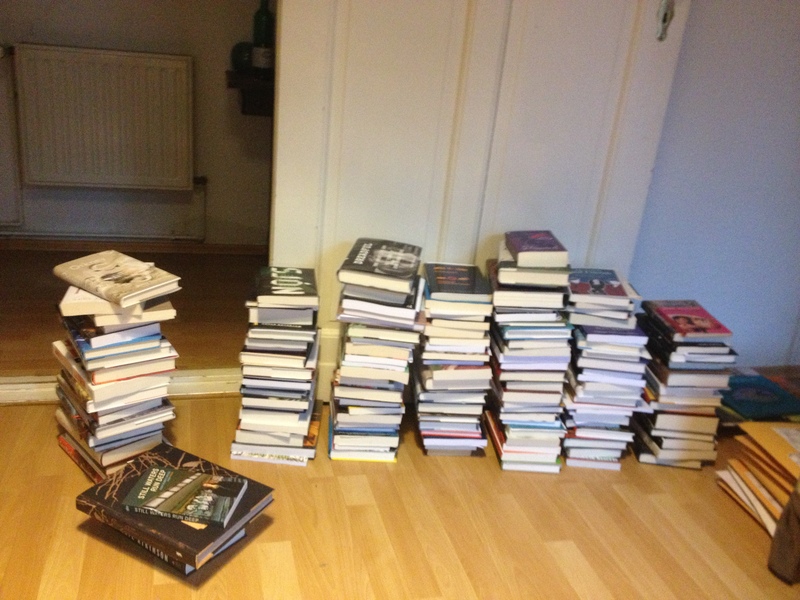 Also, nevermind why, but the apartment I was staying in came complete with a pile of giveaway books. That’s my stack on the left. I had to halve it, halve it again, and halve it one more time before I left Berlin, in order to fit everything in my suitcase. 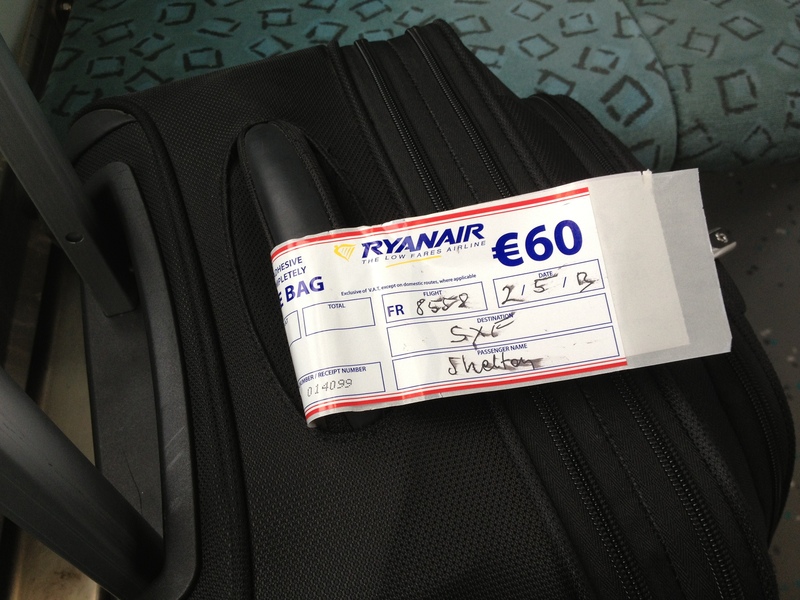 See, on my way to Berlin, I got popped with a Ryan Air gate check fee, which is what happens when your carry-on is too heavy (or, in my case, simply too big structurally). The baggage fee ends up costing more than your flight ticket. It’s the budget traveler’s equivalent to the Cone of Shame. 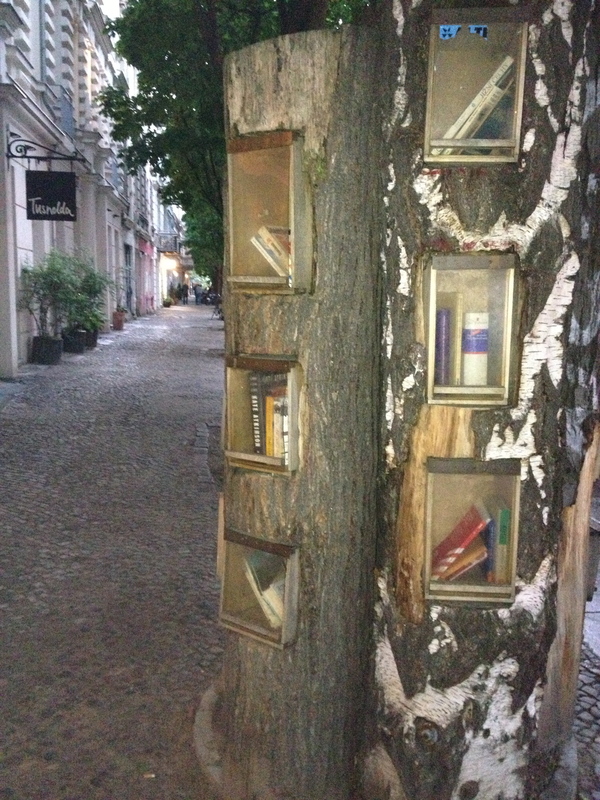 One thing I thought I might do, though, to improve my travel karma, was to drop off some books in the tree library. 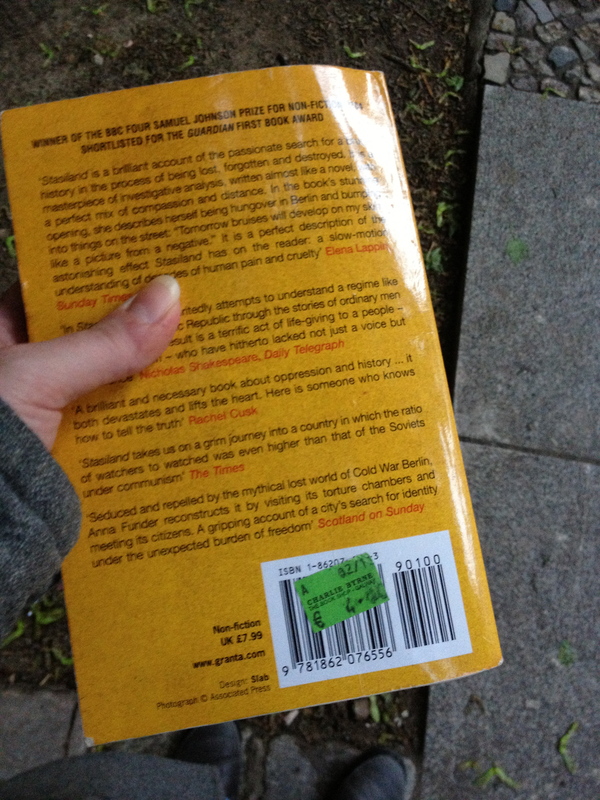 I wound up leaving both of my Anna Funder books (including a copy of Stasiland with the €4 Charlie Byrne’s sticker still attached) and a current bestseller (and Bailey’s Women’s Prize for Fiction contender) that I pilfered from the giveaway pile. 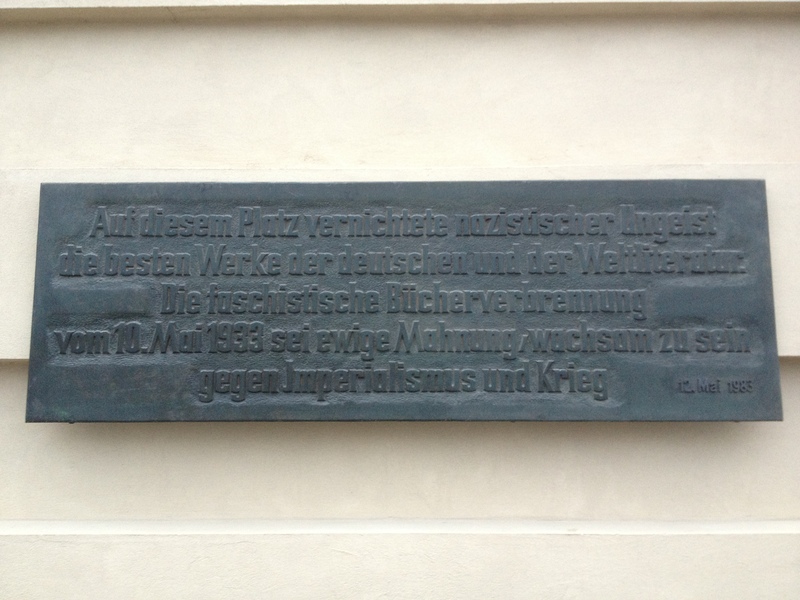 So, there it is. 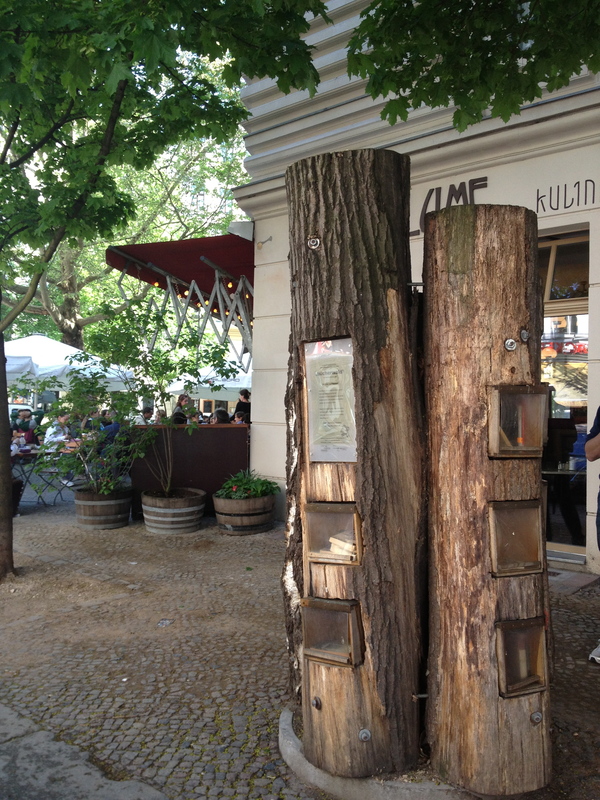 If you’re in Berlin, drop by the tree library and see if my books are still there. I need all the good karma I can get right now.